Digital Projection reaffirms their leadership position in the displays market with an ISE booth packed with innovation and differentiated products. 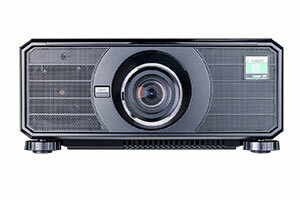 Following on from the introduction of the world’s first 8K DLP® laser projector last year, ISE 2019 will see an even brighter, next generation model on show. 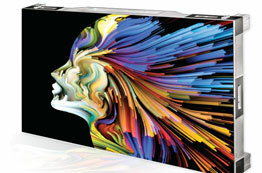 The world’s first and only Native 4K, Ultra High Frame Rate Multi-Viewer 3D projector will also be demonstrated alongside the 120Hz Radiance indoor LED displays and the most innovative, value-packed range of 1-Chip and 3-Chip DLP projectors to date will guarantee visitors to stand 1-F70 image perfection to suit every taste and budget. 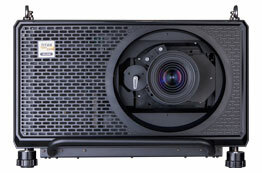 As the world’s first commercially available DLP laser 8K projector, the INSIGHT Laser 8K sits in a class of its own when it comes to performance. 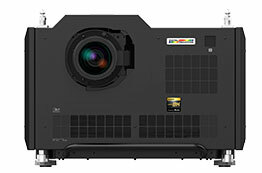 Providing an ultra-high 8K resolution (7680 X 4320) of 33-million pixels through 36,000 lumens of solid-state laser-phosphor illumination, the company’s latest flagship projector is the ultimate solution for the most elaborate medical, scientific and immersive visualisation and large-venue applications. In addition to the resolution and lumen performance, it uses proven DLP technology incorporating 3x 1.38" DarkChip™ DMD™ chips and Digital Projection’s ColorMax™ technology to ensure superb colour accuracy and black levels. These are especially vital imaging characteristics when matching projectors in tiled or blended applications. Digital Projection will demonstrate the latest incarnation of the TITAN Laser Projector at ISE by using it to create a seven metres wide projection surface that is sure to be a striking addition to the company’s stand. 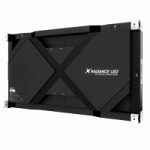 This particular TITAN is able to produce 33,000 lumens from a relatively compact chassis, making it the ideal projector for the most demanding of large-venue applications where bright, pin sharp images are required. 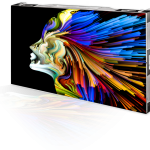 Digital Projection’s imaging excellence will also be put to use in various stands across ISE and not just on stand 1-F70. Five Digital Projection TITAN Laser projectors and two INSIGHT 4K Dual Laser’s will power the AV Stumpfl stand (1-H5, 1-H10), whilst the Navitar booth (2-A90) will feature a HIGHlite Laser projector. 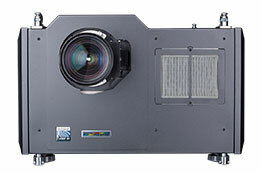 Digital Projection’s ISE neighbour Stewart Filmscreen will enhance its booth (1-F50) with an INSIGHT Laser 8K. Finally, DNP will be making use of an E-Vision 11000 and E-Vision 6900 that will be teamed with their SuperNova screens (1-E50).